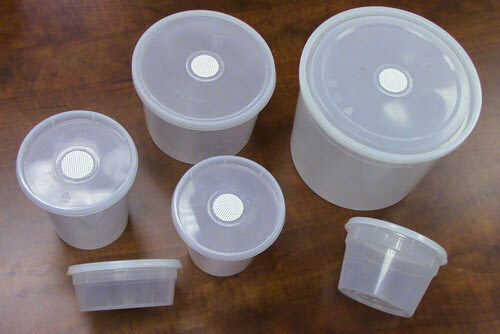 Tissue culture containers now available for special order. This review was written by by Mark Spear on August 14, 2003. I offer it here for your consideration. Learn what this unconventional Petri dish can do for you. The UNICORNBAG CLAMP® hermetically seals the opening of a mushroom grow bag or a spawn bag and eliminates the need for a sealing machine and all its problems.